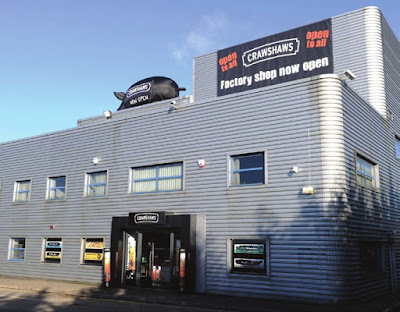 240 jobs at Rotherham-based retailer, Crawshaws, have been secured after certain business and assets were sold to a newly created company, Loughanure Limited. 350 redundancies were made when the Hellaby-based company formally appointed administrators last month. It came after bosses failed to find investment for turnaround plans as the listed group suffered declining sales amid challenging trading conditions. The UK's leading value butcher, had operated 42 High Street stores and 12 factory stores, and appointed Robert Hunter Kelly and Charles Graham John King, both of Ernst & Young LLP, as joint administrators. The deal, which includes the Hellaby production and distribution facility, follows a sale process run by the joint administrators which resulted in over 50 expressions of interest in parts or all of the business. Loughanure have paid around £1.4m for certain business and assets, subject to adjustment following completion of a stock count. An update to the stock exchange said: "The sale has resulted in substantially all of the group's realisable assets being sold and the group has ceased to trade. The trade of the business will now be continued by Loughanure. "The Joint Administrators are continuing to market the sale of certain closed stores and related assets as well as recovering outstanding debtors." Loughanure was incorporated in November and is majority owned by Thomas Cribbin. Cribbin Family Butchers (Holdings) Limited previously operated a chain of butchers' stores in the Republic of Ireland and sold Gabbotts Farm Limited to the Crawhsaw Group in 2015. Last month, 35 stores (including in Rotherham town centre) and Crawshaw's Astley distribution centre were closed. The remaining 19 stores and the Hellaby production and distribution facility have been sold to Loughanure. The Group's only remaining assets are a long leasehold property in Grimsby, short leasehold interests in closed stores, surplus store equipment and a number of vehicles. Following the sale, trading in the company's securities on AIM will likely be cancelled.